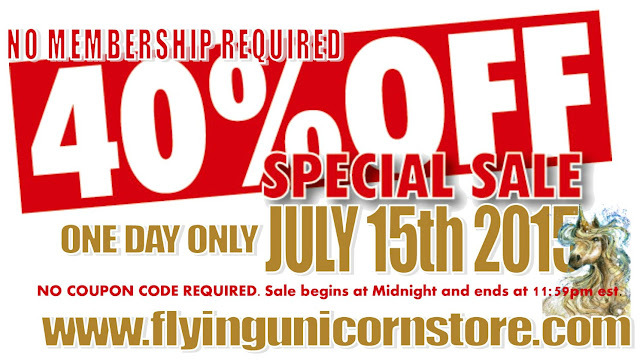 Our One of a Kind Flying Unicorn Store is joining the big box stores and passing on incredible savings tomorrow, July 15th from Midnight to 11:59 pm est. Get ready to stock up and save on paper, inks, flowers, paints, ribbon and so much more! Do not miss out- its a one day - One of a Kind Sale !